Do your data cables got you feeling like a bad hair day? 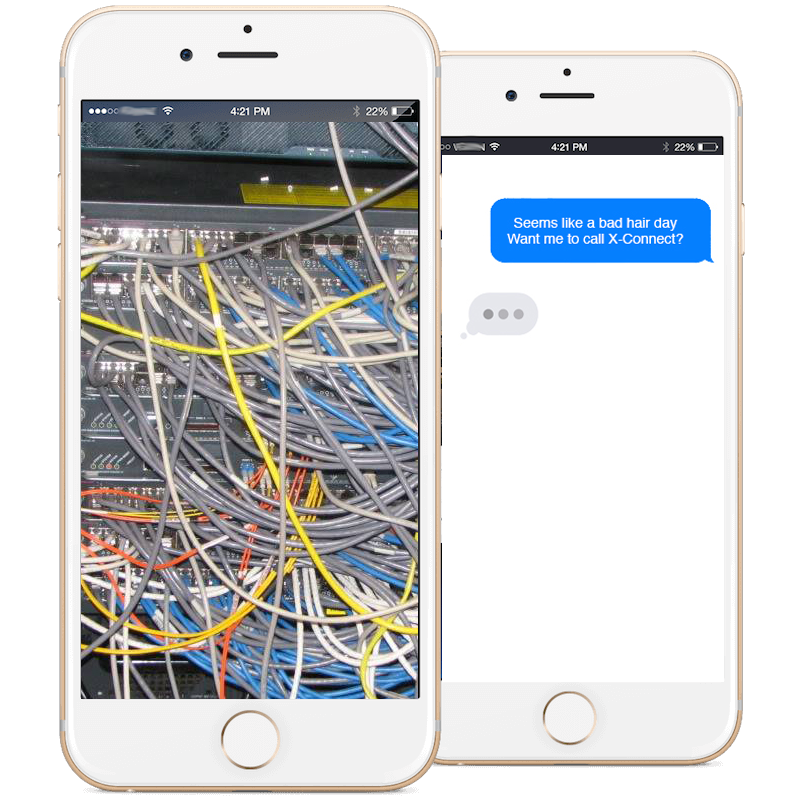 For all of your structured cabling needs, we are just a phone call away! We take great pride in providing the best of class support in Voice & Data Cabling. From structured cabling to fiber optics we can do it all. We are your full service provider of commercial structured cabling, design, and installation. If you are in a pinch for time and have an immediate need, we urge you to fill out the quick quote form. We will be back in touch ASAP. All rights reserved - Copyright © 2018 X-Connect Inc.